The reports of their deaths were somewhat exaggerated. Two species – the blue-bearded helmetcrest humming bird and Bouvier’s red colobus monkey – thought extinct were found very much alive. Moreover, both were photographed for the first time since their initial discovery. and started snapping pictures while surveying a Fundación ProAves preserve. According to their report in Conservación Colombiana, they looked at the pictures and immediately identified brilliant blue plumage of O. cyanolaemus. The team, who work for Fundación ProAves, set up cameras and observed and photographed three individuals of the species! 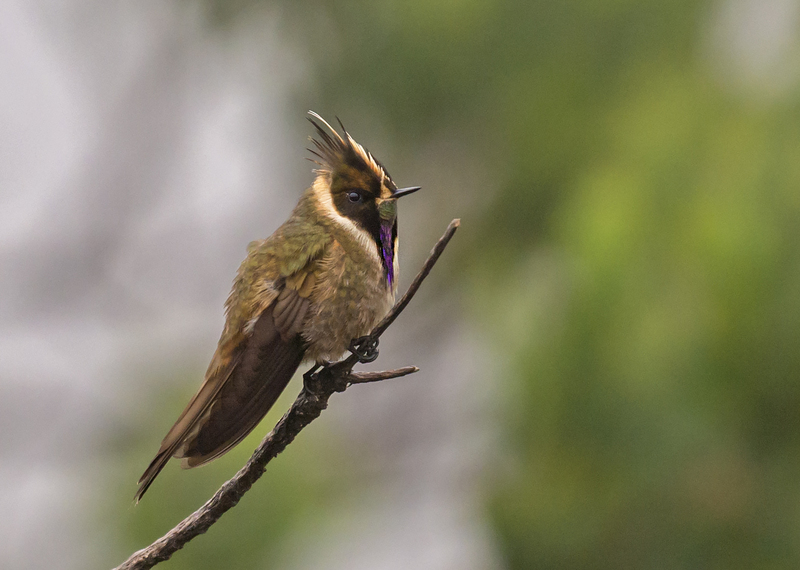 During their watch they noted the birds hovering, making flight calls (or long-distance vocalizations), and, most interestingly, feeding from flowering plants not known to the helmcrest’s usual diet. Notoriously picky sippers, oxypogon species stick to nectar from Frailejon shrubs but the few nearby Frailejon plants located by the conservationists were not currently in bloom. This could mean the birds are adapting their diet as their habitat continues to change. Read more about the rediscovery on Sci-News. Follow The Good News Review on Twitter and Facebook for even more Good News throughout the day.